At Simply Different, we enjoy all creative souls and love to hear from anyone that is a lover of our crafts! itssimplydifferent@hotmail.com and we'll try out best to get back to you! P.S Don't forget to tag us in all your Insta and FB posts when showing off your items so we can see how wonderful you look! You can also now find us on 'Soul & Spirit' Magazine's 'Spiritual Shop' Map. 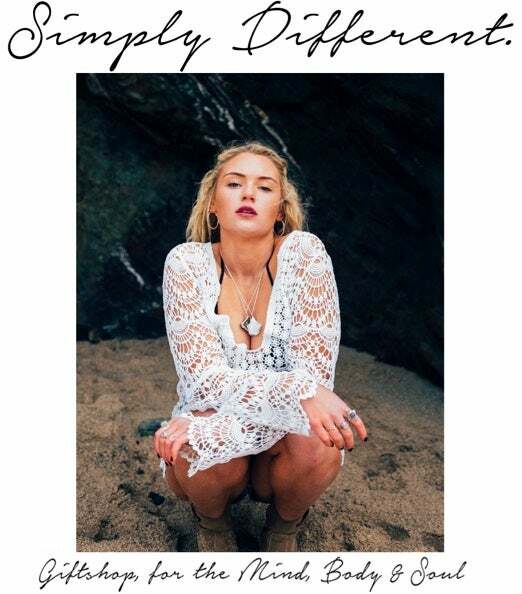 Check out our recent interview with the lovely Joslyn at 'My Authentic Nature' over on her blog, to learn more about me & the makings of SD! Head over to our babe Shan's blog, to check out her recent blog posts featuring us. Excited to tell you all we are now currently featured in 'Soul & Spirit' Magazines September 2016 issue. Iniside you can learn about the makings of SD and read some real life magic. Join us on June 25th 2017 at North Warwickshire Recreational Grounds 11-4pm for The Yoga In The Park Event. We will be holding a stall with all of our shop goodies! Purchase a ticket here & we'll see you there! For more info on this event click here!